In a Nutshell: Technology has evolved rapidly in the past decade, with smartphones moving from new, novel devices to essential everyday tools. 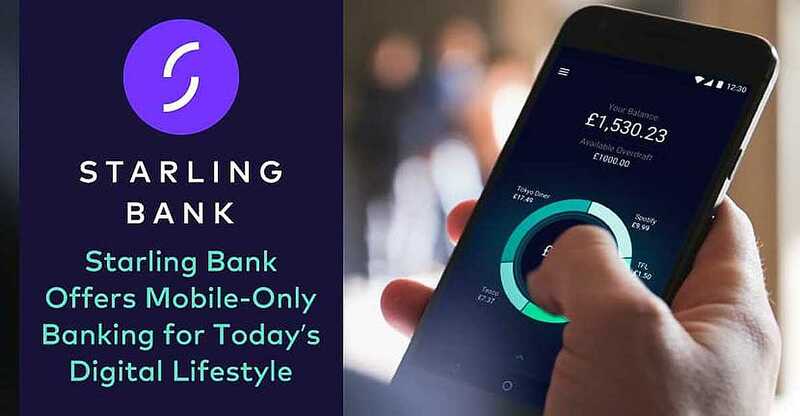 UK-based Starling Bank is taking the next logical step for online banking with its mobile-only personal and business current accounts. Users receive all the features they expect from a traditional online bank account, including a debit card and overdraft. Starling can be nimble and efficient with its product because it has built its own platform and maintains its own infrastructure, so it doesn’t need to wait for third parties to make changes. With its new joint accounts and Settle Up P2P payment system, Starling not only keeps up with online banks but stands apart from them. Over the past decade, smartphones have gone from being perceived as a curious wave-of-the-future novelty to an essential part of many people’s daily lives. Smartphone use is so commonplace these days, consumers forget just how rapidly and easily they settled into their lives and hands over the course of just a few years. And, just as smartphones have become more advanced, faster, and, well, smarter, so too have the possibilities available, including a surge of finance and money-related apps, from tech companies and developers. Julian Sawyer is the COO for the UK-based Starling Bank. Starling Bank is one such company — and app — that provides smartphone users something that was considered an impossibility until just recently. The United Kingdom-based bank specializes in offering mobile-only personal and business current accounts, said Starling COO Julian Sawyer. And when it says mobile-only, it means mobile-only. Starling Bank does not have any brick-and-mortar locations, nor does it offer any browser-supported banking options. For Starling customers, it’s mobile or nothing. The company was founded on the premise that it could do one thing extremely well, which was to create a fully-functioning current account that can be managed from a person’s mobile phone. That is just what they’ve done. Sawyer spent some time with CardRates to walk us through some of the ins and outs of Starling’s offerings, and how they stand apart from those of traditional banks — whether they are brick-and-mortar or online iterations. “This is a fantastic product for those people who live their life on a mobile phone,” Sawyer said. 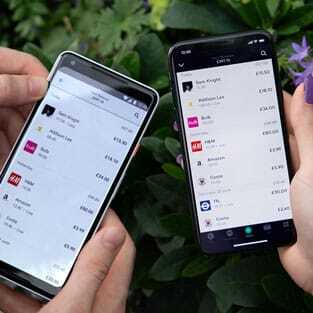 And for those who might be a bit trepidatious about the idea of moving to smartphone-only banking, Sawyer said Starling’s accounts offer all the services consumers in the UK have come to expect from their current accounts. Features include savings options, overdraft, and Starling’s contactless Mastercard debit card. Additionally, Starling’s Pulse feature keeps up with spending in real time, so users know exactly what transactions they had in a day. 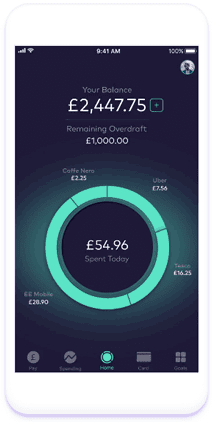 Starling Bank’s approach to mobile banking brings traditional features to smartphones. Starling account holders will also receive features that include insights on spending habits, granular and flexible card security, zero fees abroad, and 24/7 customer support. Customers also receive an interest of 0.5% Annual Equivalent Rate (AER) on balances up to £2,000 and 0.25% on balances above £2,000, up to £85,000. Starling recently expanded its offerings to include business accounts, which come with all the features and benefits of the personal account option. He said the company’s culture and executive leadership is very accessible, which lends it to a clear and robust decision-making process without the layers of bureaucracy found at traditional banks. Sawyer said Starling is essentially a technology company that has a banking license. The bank’s technology-based philosophy, coupled with the lack of overhead that burdens brick-and-mortar banks, creates a number of advantages for Starling. He said very early on, Starling decided its platform should be built in-house. Starling Bank built much of its platform in-house with its team of software engineers. The bank has about 60 software engineers on staff, Sawyer said. It usually has three to five software releases a day, which is unheard of in banking, he said. Additionally, Starling releases updates through its app every couple of weeks. Sawyer said Starling employs a very dynamic technology, and the in-house engineers understand the code behind it because they wrote it. Whenever updates are implemented, it doesn’t require a big migration weekend. And if issues arise, the team can simply roll back the update and try again. Because traditional banks are so heavily invested in legacy systems and other collateral, they spend a lot of time, money, and effort gathering information, user testing, deploying, and other steps to determine whether to make an update, he said. Sawyer said the bank also joined the Faster Payments Service, which is a UK banking initiative that greatly reduces payment times between bank accounts, putting Starling on equal footing with other big banks. The inherent flexibility that comes with keeping so many aspects of Starling’s functionality and infrastructure in its own hands is key to the bank’s success, Sawyer said. Earlier this year, Starling began offering a unique take on joint bank accounts, further setting it apart from traditional banks. Starling’s joint bank account feature allows users to find other Starling customers in the vicinity. Once the second party is identified, the initiating user’s photo shows up on the other person’s phone and the user can identify the account and confirm that he or she would like to link to the account. Sawyer said accounts can be linked for spouses or roommates, but joint accounts can also be useful for friends planning a vacation and splitting costs. Another interesting play on technology is Starling’s Settle Up feature. Again, the feature uses Google Nearby to allow Starling customers to send and receive money to and from one another. Just as smartphones were an exotic notion that quickly turned commonplace, there’s no reason to think the same won’t be true of Starling Bank’s approach to mobile-only banking. 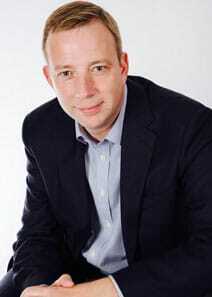 Sawyer said Starling plans to continue its innovative approach to digital banking. Earlier this year, Starling expanded its offering to include installment loans — again, completely through the customer’s smartphone. And the bank recently added the option to open more than one business account, now allows 16- and 17-year-olds to open current accounts, and launched Nearby Payments to send money to other Starling account holders in the user’s vicinity.